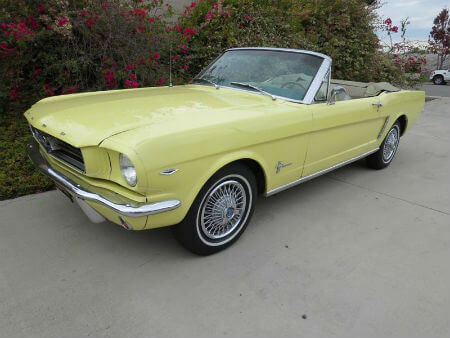 1966 convertible in GT colors and stripes w automatic transmission. This Mustang was acquired from Reno Nevada and was shown multiple years at the Hot August Nights car shows. 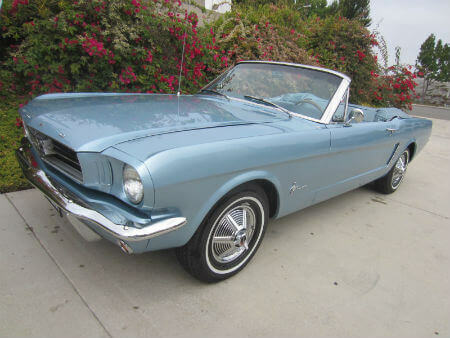 1965 convertible with automatic transmission. 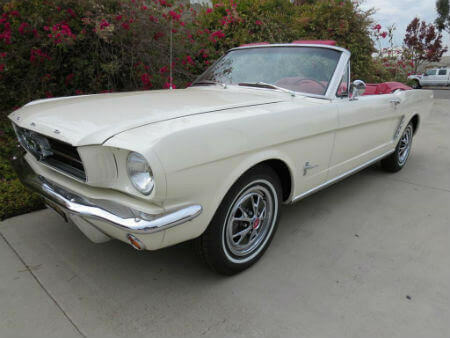 This Mustang came from New York where the 1964 New York Worlds Fair introduced the Mustang for the very first time. We named it accordingly. 1965 convertible with automatic transmission. This Mustang was from North Carolina. We received a note from the previous owner wishing us well and added ” missing my East Coast Gal”. 1965 convertible with automatic transmission. 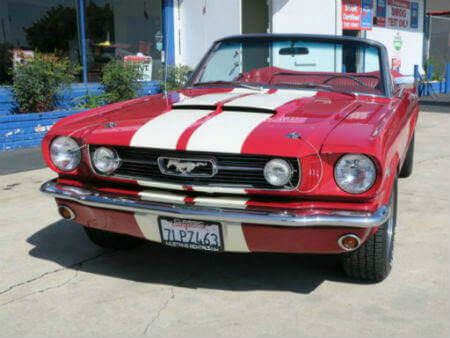 This Mustang came to us from Redondo Beach and later in the wine country, two very nice climates and hence it was easy to name her. 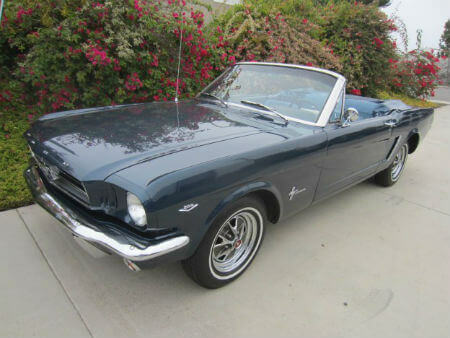 1965 convertible with automatic transmission. 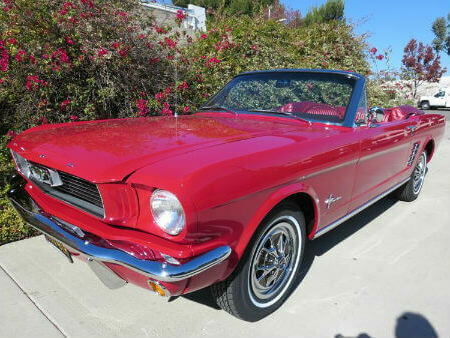 This Mustang lived in San Francisco and passed from father to son when we acquired it. It was named for its good taste in classic Mustang colors. 1966 Convertible with automatic transmission. This Mustang came from the Napa valley. The previous owner worked at a winery and upon delivery to us, it included a case of wine in the trunk! 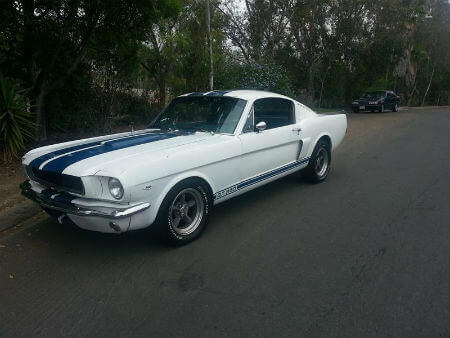 1965 fastback with automatic transmission. This Mustang was named after it's previous owner. Looking rough, tough, mean and scarred just like a real Mustang GT350 coming off the race track. 1965 fastback with automatic transmission. 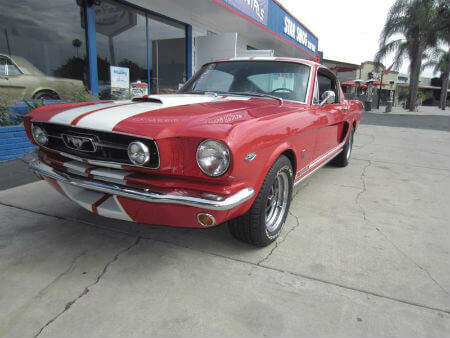 This Mustang was named after it's previous owner from Santa Ana. Dressed in GT colors Francisco is sure to get some serious attention.